According to the Los Angeles Times, this Robert Skinner-designed estate has been sold to New York Giants chairman and Hollywood producer Steve Tisch for $10.05 million. 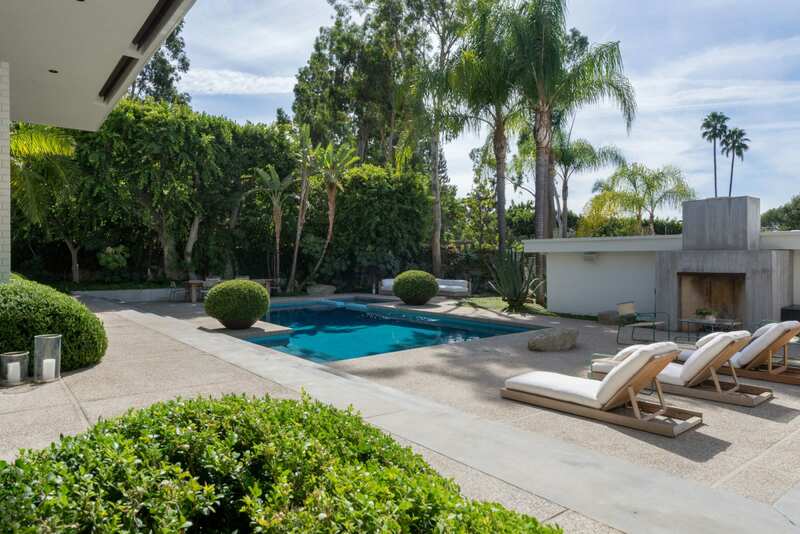 The seller was the estate of late music manager Jordan Feldstein. 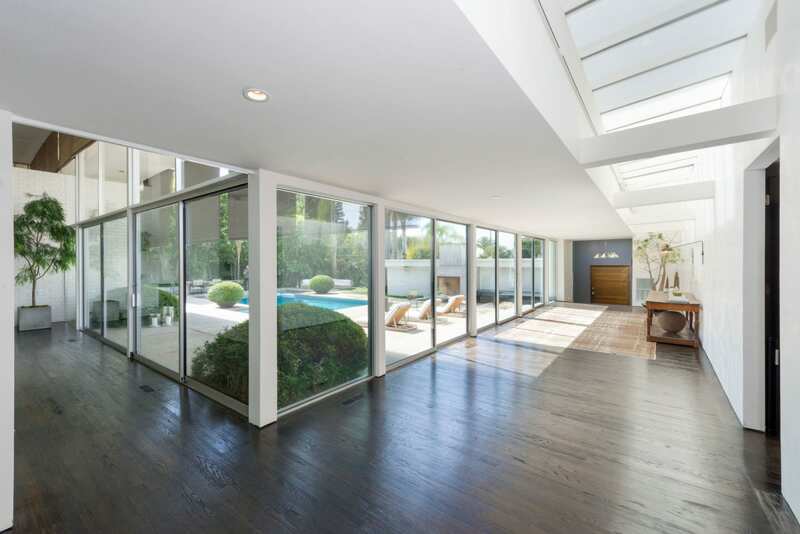 Gated on a quiet cul-de-sac in highly sought after Trousdale Estates, this five-bed, six-bath residence was recently updated with the finest modern luxuries while keeping true to era. Built in 1962, this rare trophy property boasts the finest features. 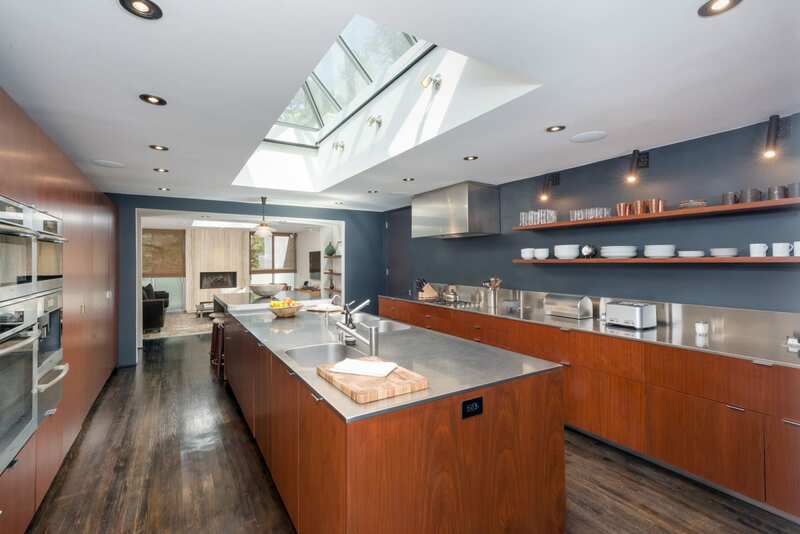 Between the skylights and walls of glass flooding the home with natural light, raised ceilings, and an incredible art collection, living here is like living in a work of art. Guests are greeted by a breathtaking two-story living room with a centerpiece fireplace surrounded by views of lush, mature trees and gardens on one side and the pool, sunken terrace, and fire pit on the other. With over 6,300-square-feet of luxurious interior, there is also a state-of-the-heart home theater, office loft, and chef’s kitchen. The swoon-worthy master suite boasts a massive walk-in closet and a sitting area while the richly-appointed master bath rivals any resort. Rona Passman represented the seller. 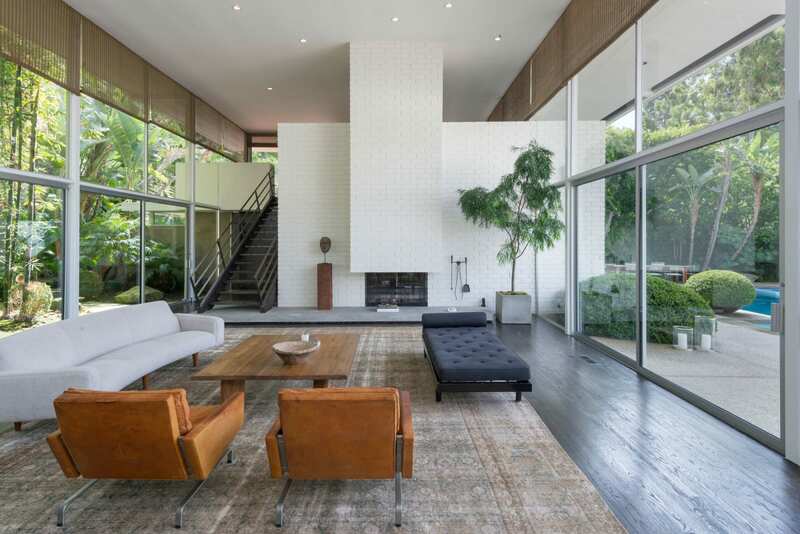 CLICK HERE to view more of this exquisite Mid-Century masterpiece.